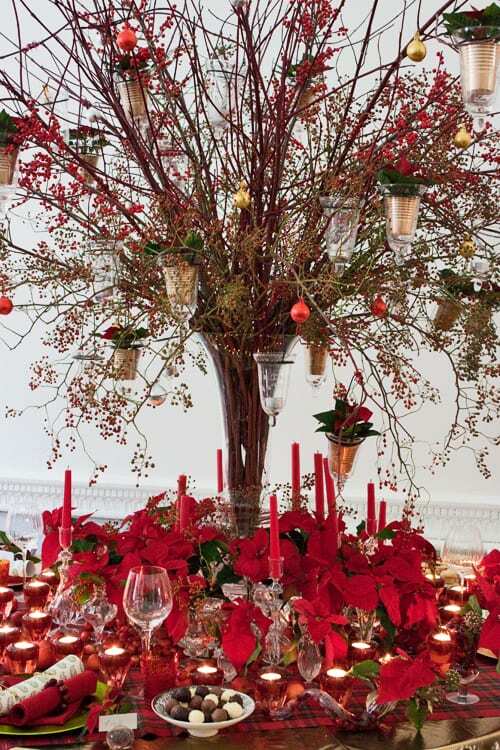 If you read my Flowerona reflects blog post on Saturday, you’ll know that last Wednesday I attended an International Poinsettia Press Party, sponsored by Stars for Europe. 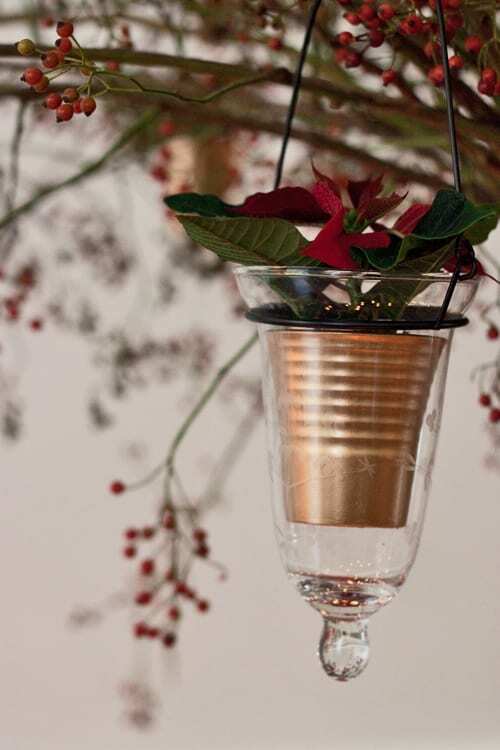 Today’s blog post is the first of five which I’ll be featuring over the coming weeks, showcasing each of the table designs created by the florists at the event. 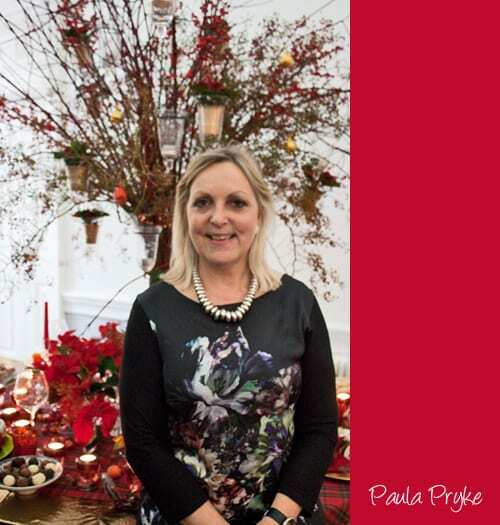 And we’re starting with the beautiful ‘Vintage Christmas’ design created by Paula Pryke. 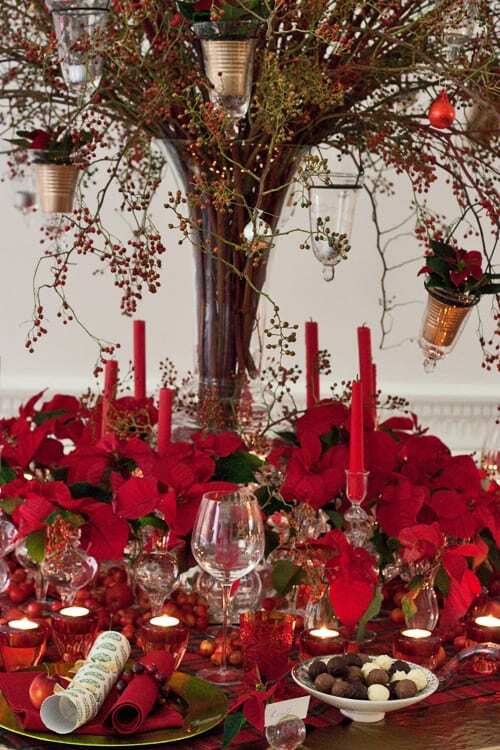 Using a collection of glass vases and candles, Paula created a vintage look inspired by the colour of the red Poinsettias. It was so lovely to catch up with Paula and hear all her news. Over the summer, she was taking floristry classes on board a Crystal Cruises ship, whilst travelling around the Mediterranean. Recently, she’s returned from teaching in San Francisco and next week, will be holding classes in Seoul in South Korea. 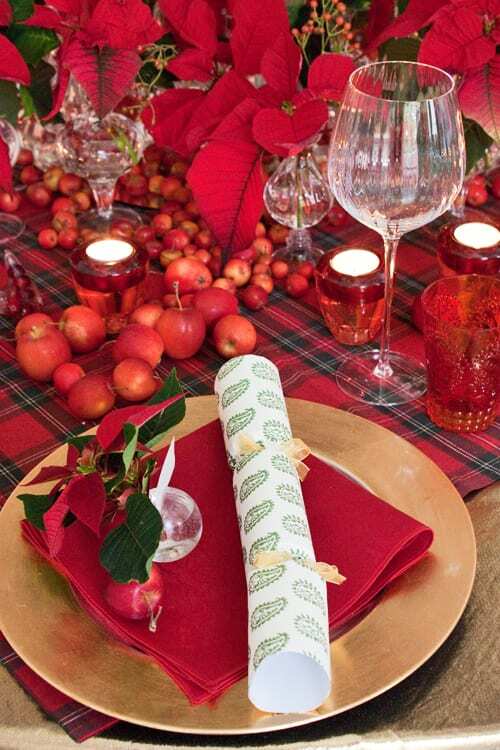 I loved her table design and I hope it’s inspired you to start thinking about how you’ll be decorating your dining table at Christmas. 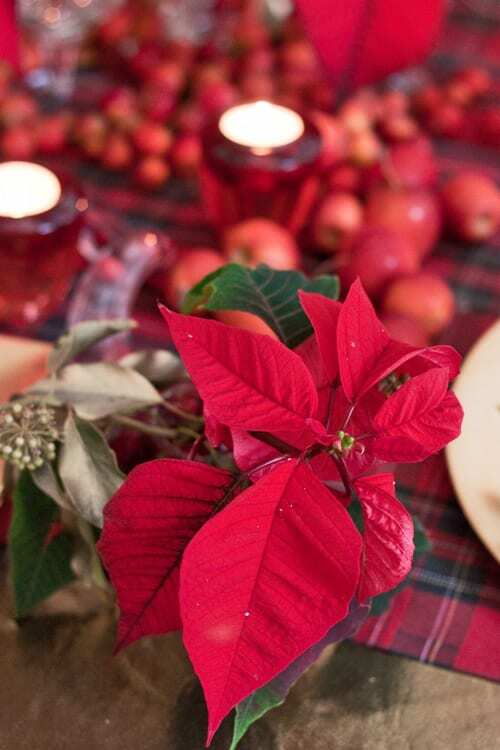 By the way, did you know that the parts of the Poinsettia plant which look like petals are actually the leaves? They’re called bracts. And because they’re so large, they’re the part that attracts the insects, whilst the yellow bit in the middle, which most people think is pollen, is actually the flower…! How many plants do you have in your home and do you know the benefits?